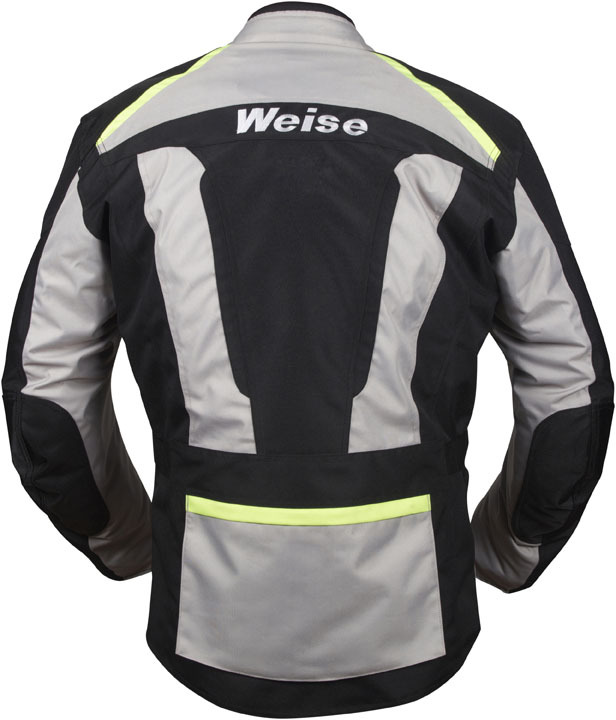 New for 2016, the Outlast Seattle Jacket and Trousers from Weise® are designed to deal with the unpredictable temperatures and weather conditions that Autumn often deals out to riders. Key to the Seattle suit’s ‘climate control’ is its Outlast® lining. This unique material was originally developed for NASA; it absorbs, stores and releases heat, actively regulating the body’s microclimate. As the body warms up, Outlast absorbs the heat, keeping the wearer cool; alternatively, as the wearer begins to cool down, the heat is released back, keeping the body warm. 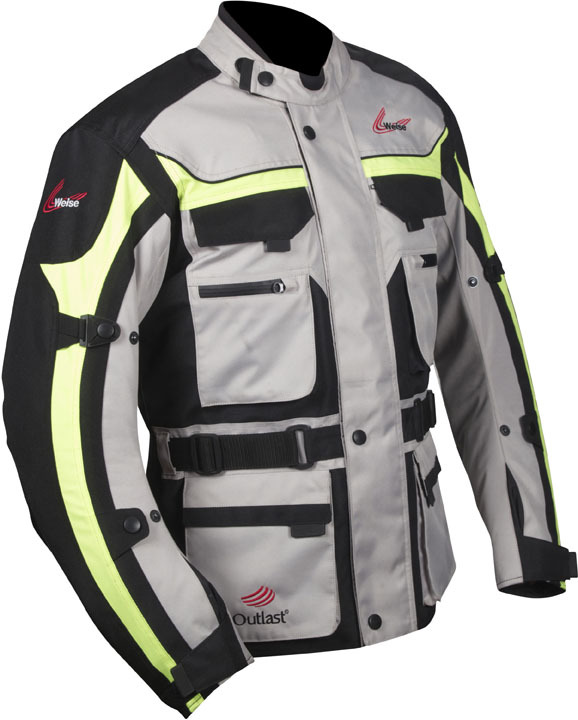 This active control helps to reduce temperature swings (the heat-up/chill down cycle) experienced when riding in varying temperatures, so the wearer is consistently comfortable. 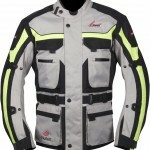 In addition, Outlast works to stop perspiration before it begins, unlike many other technical fabrics found in motorcycle clothing, which manage moisture by wicking perspiration away from the skin. 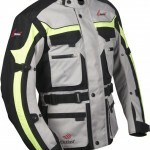 Alongside the Outlast 140-gram thermal inner, both jacket and jeans feature waterproof, windproof and breathable drop liners (the jacket’s liner is removable); venting at the chest and thighs; plus Velcro® and popper adjustment, to allow for the use of additional layers. 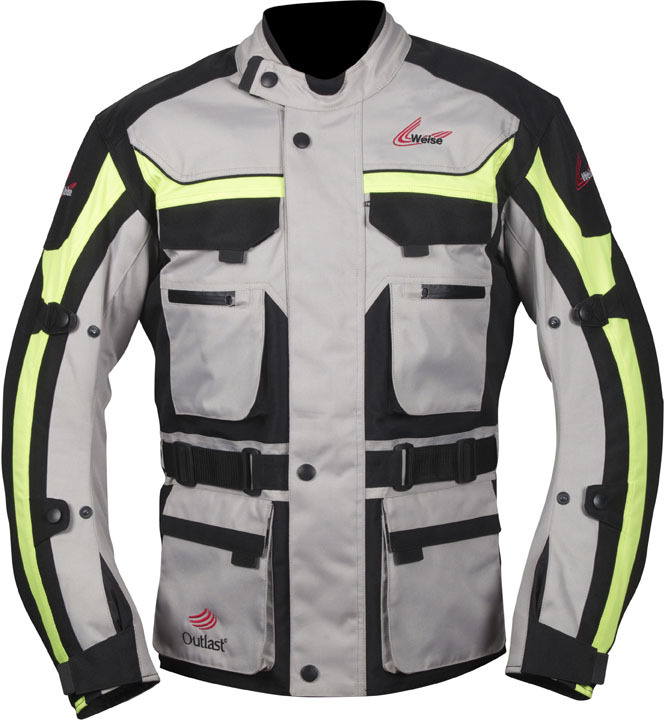 The outer shell is made from 600 Denier Taslan fabric, with CE-approved armour in key impact areas – shoulders, elbows, knees and back. Reflective detailing aids visibility in low light. 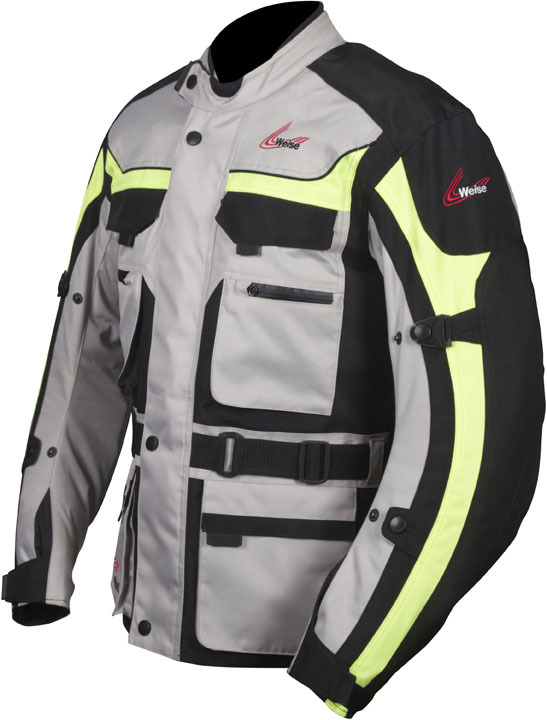 Comfort stretch panels aid movement and 8-inch connecting zips keep jacket & trousers firmly together to prevent ‘riding up’. 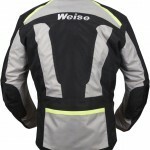 There’s also a selection of internal and external pockets – including a large map-type pocket to the rear of the jacket. 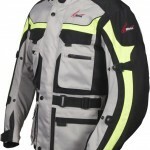 The Outlast Seattle jacket and trousers come in sizes S-5XL.